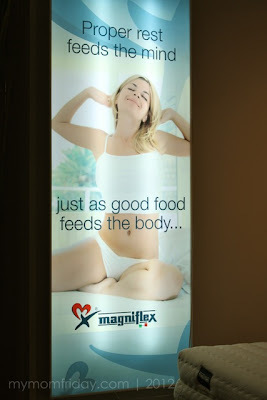 "Proper rest feeds the mind, just as good food feeds the body..." This line on a banner caught my eye as I believe this to be true. A good rest can refresh our minds, and bodies. 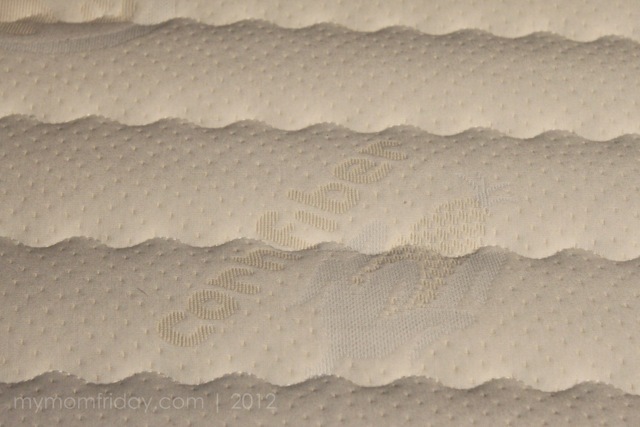 Sleep heals. We all need sleep, and a proper bed will help us get a deep and restful sleep. 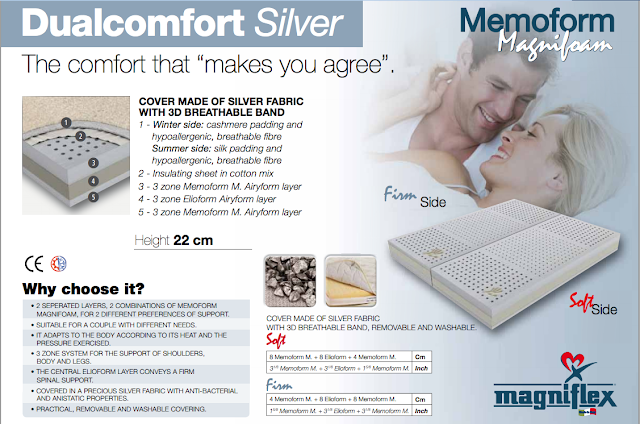 Thus, the bed and mattress set is a major purchase for any home. 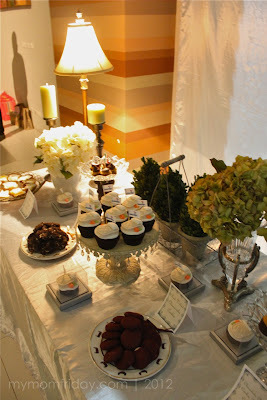 When I was planning my wedding ten years ago, the appliances and furniture for my future bedroom was a concern of mine. Naturally, everything we bought then was a mutual decision between my husband and I. 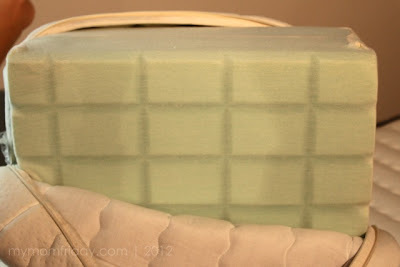 But I was more hands-on with the furnishings which included the bed, while J had a free hand with the electronics. 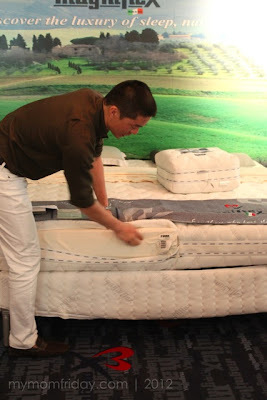 True enough, I learned from the Magniflex blogger event I attended last month that, based on a study, it's the women (wives) who mainly decides on the purchase of the bed and mattress. 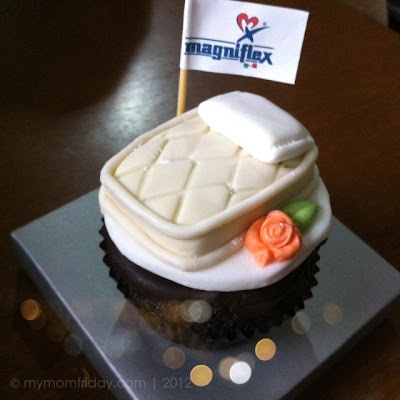 It was my first time to learn about Magniflex when I was invited to visit Home Studio in Greenhills, which houses the showroom of the revolutionary Italian-made brand of mattresses - Magniflex. 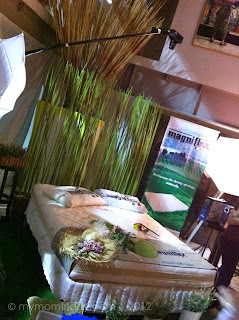 As soon as I arrived, there was a beautiful set-up at the lobby of the building (photo above) where each of us was to try and lie on the bed for a creative photo. 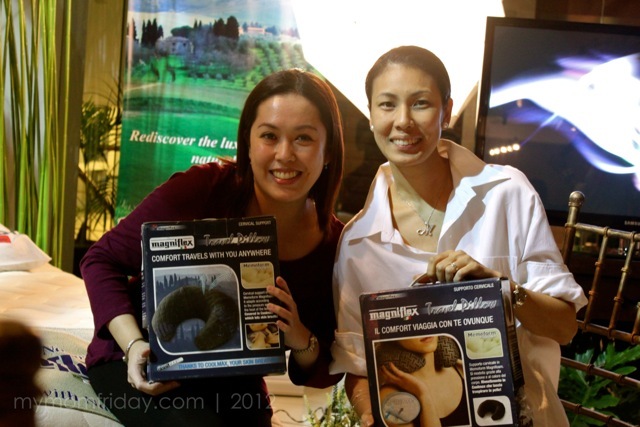 We were also given our own bedroom slippers to stay comfy during the sleepwear-themed event organized by Marj on behalf of Home Studio, exclusive distributor of Magniflex products. 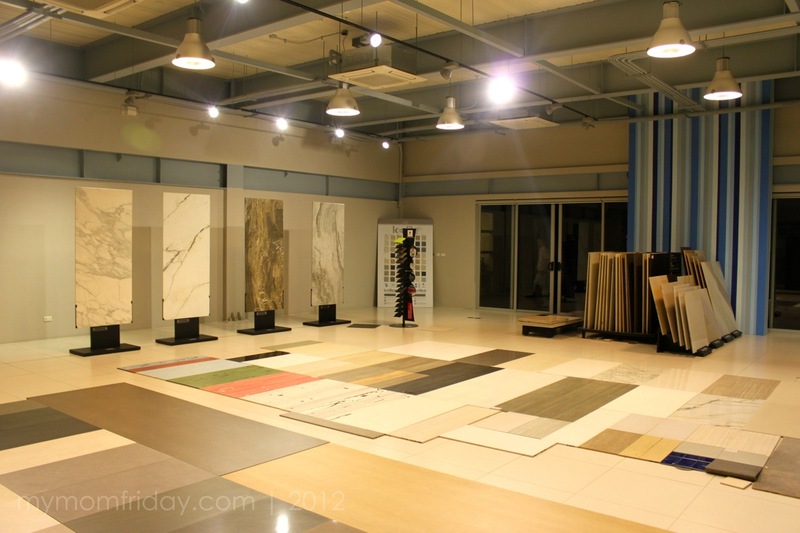 We all experienced first hand the exceptional quality of Magniflex (pronounced as man-yee-flex, from the Italian creator Giuliano Magni) during the presentation and tour led by Home Studio managing director, Grant Lim. 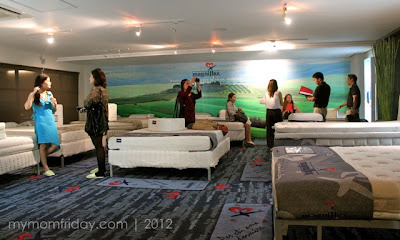 Here are some of my blogger friends at the showroom... each one of us trying/sitting on all the cozy beds displayed. 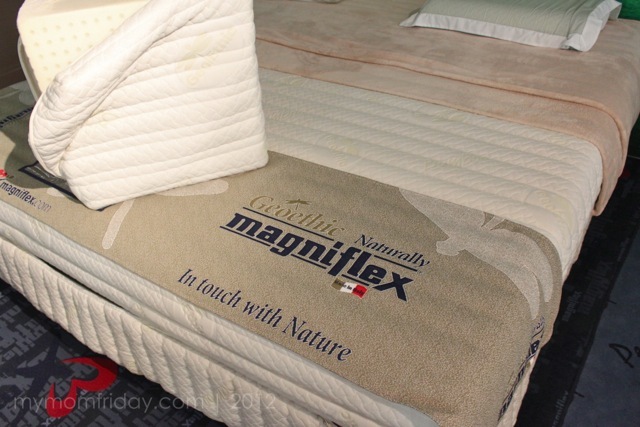 We also took a simple test to determine what's the best Magniflex mattress for our body's needs and personal preferences. This is where I learned about the different Magniflex mattresses, and how it will help individuals achieve better quality of sleep. 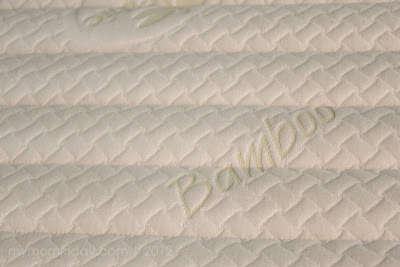 I would love a king-sized Bamboo or Corn mattress with matching pillows! 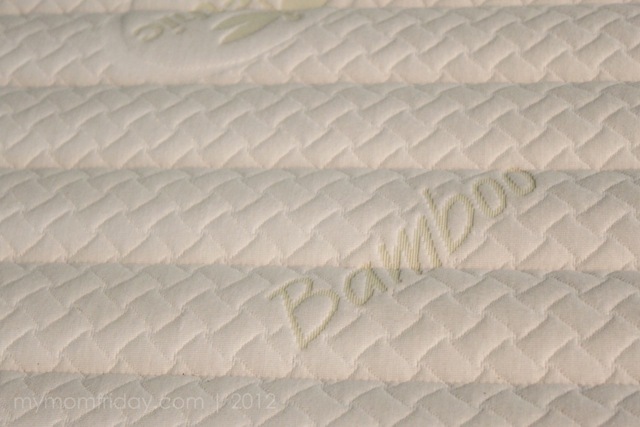 You can read more about the fabric and treatments here, and the natural and sustainable materials used for these eco-friendly line. 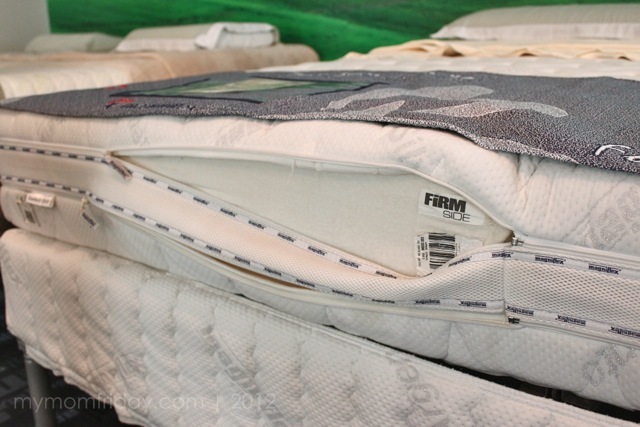 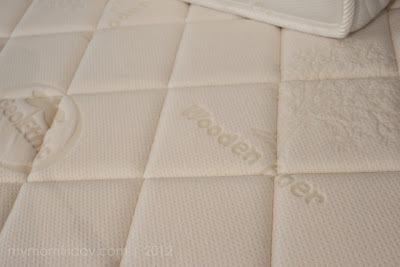 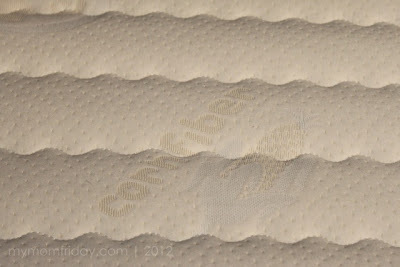 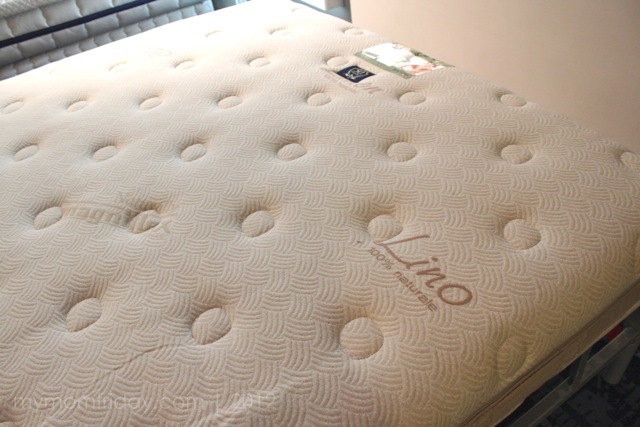 All mattresses are wholly imported from Italy, hygienically vacuum-packed and rolled when delivered. 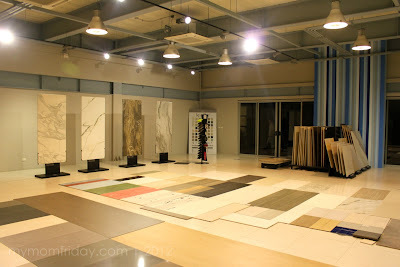 Worth mentioning is that aside from Magniflex, Home Studio also brings in imported wall and floor tiles, contemporary shower heads and faucets for home interior finishes. The whole ground level of the this well-designed building can also be rented for private functions and events. 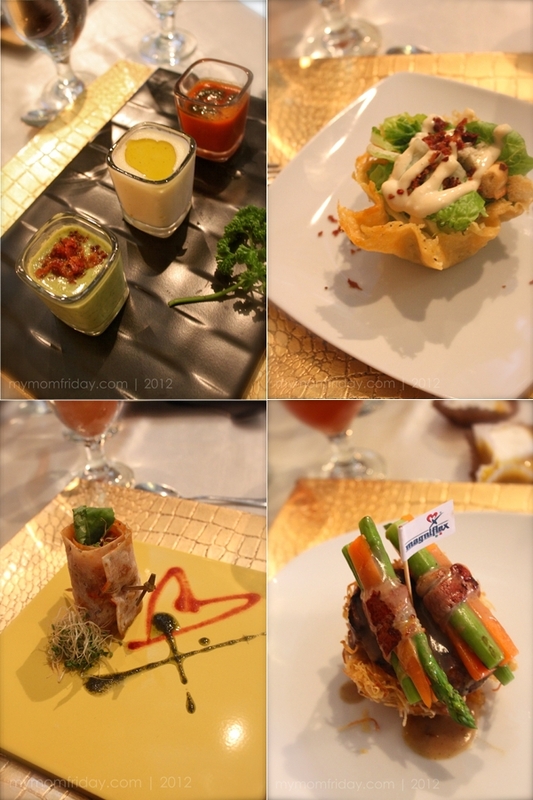 After getting to know Magniflex and a tour of Home Studio, we all indulged in this delectable Italian-themed 4-course meal catered by Torch Restaurant, and dessert buffet by Sophie's Mom. 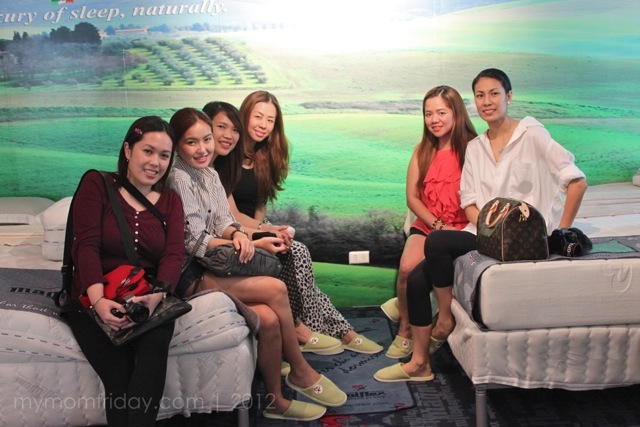 I'm glad I took time out to join this intimate affair. It was a very enjoyable evening where I also learned more about how the mattress quality affects our sleep. 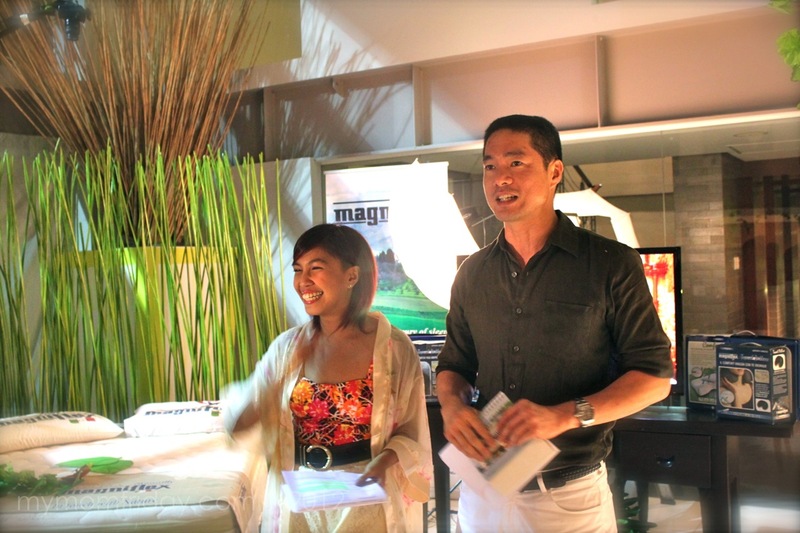 And as a testament to the quality and prestige of the brand, Magniflex has celebrity host/designer/style icon Daphne Osena-Paez and world-renowned furniture designer Kenneth Cobonpue as their brand's "sleep ambassadors". 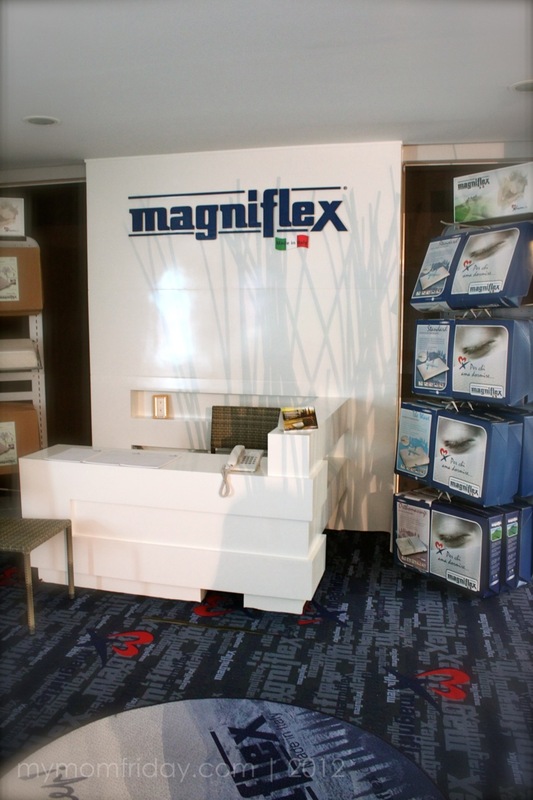 With its trademark features and design, Magniflex completely impressed me. 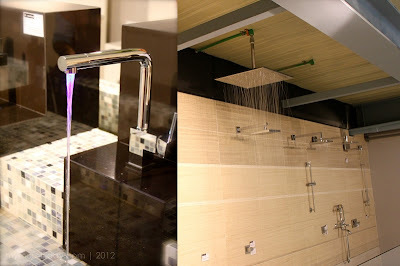 Now I know what to add to my home improvement wish-list! View more photos from my Magniflex event album here on Facebook.